A level Results Day is a massive day for 18 year olds across the country and for two students at The Sixth Form College, Solihull (part of the Ninestiles Academy Trust) it is cause for massive celebration after they got the very top grades possible. Nick Delaney and Louise Rippin are looking forward to starting their studies at Cambridge and Birmingham Universities respectively after both achieving A* grades in all their A level courses. 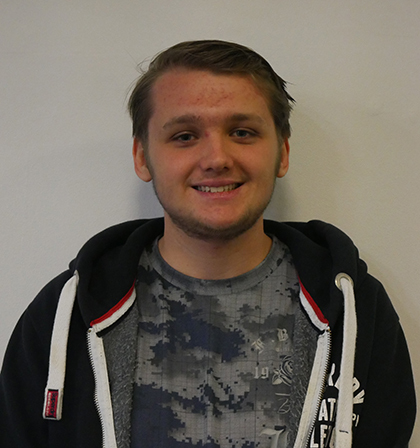 Former Lode Heath School student Nick Delaney achieved all A* grades in A level German, Law and Russian. His university place is at Churchill College, Cambridge to study Asian and Middle Eastern Studies. “I’m really happy with my results. I wasn’t sure exactly what to expect, but I did feel nervous and I didn’t get much sleep last night. I’m looking forward to taking up my place. I’ve got a year abroad to look forward to, which I will be spending in China and that’s really exciting. I’m not 100% sure what I want to do as a career yet, but studying languages will keep lots of doors open for me. For Louise Rippin (a former Light Hall School student), her A* grades came in A level Biology, Geography, Mathematics and Further Maths. She is going to the University of Birmingham to continue her Mathematic studies.